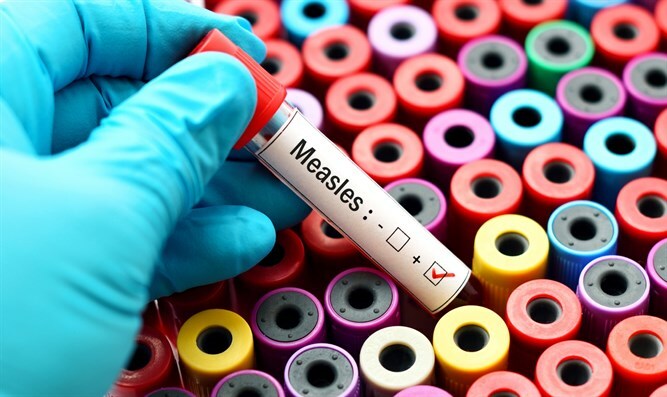 Only 58% of the population in Madagascar's main island has been vaccinated against measles, a rate which is far short of 90-95% necessary to prevent outbreaks. Madagascar has a population of 26.2 million people. In addition to its inadequate vaccination rate, Madagascar, a country in the eastern coast of Africa, suffers from high rates of poverty and resource poverty. Almost 50% of the country's children are malnourished. "Malnutrition is the bed of measles," Dr. Dossou Vincent Sodjinou, an epidemiologist at the World Health Organization (WHO) in Madagascar, told AP . "The epidemic, unfortunately, continues to expand in size though at a slower pace than a month ago," Sodjinou added . According to the WHO, measles is one of the most commonly reported cases of measles in the world. The WHO has launched a third vaccination program in Madagascar last month, hoping to reach 7.2 million children between six months and nine years. Madagascar's health ministry is also supplying free medications to areas in need.